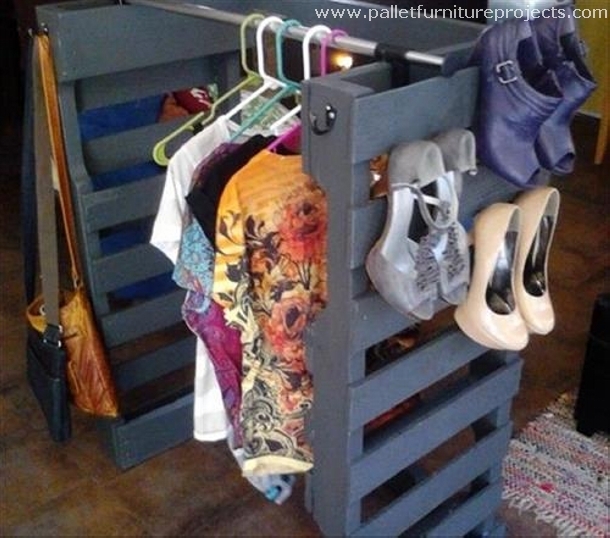 Ok, now we are switching to some minor pallet wood projects that are needed in every house hold. In earlier projects we did some grand pallet wood projects making some wooden furniture items, garden décor ideas, room embellishments etc. 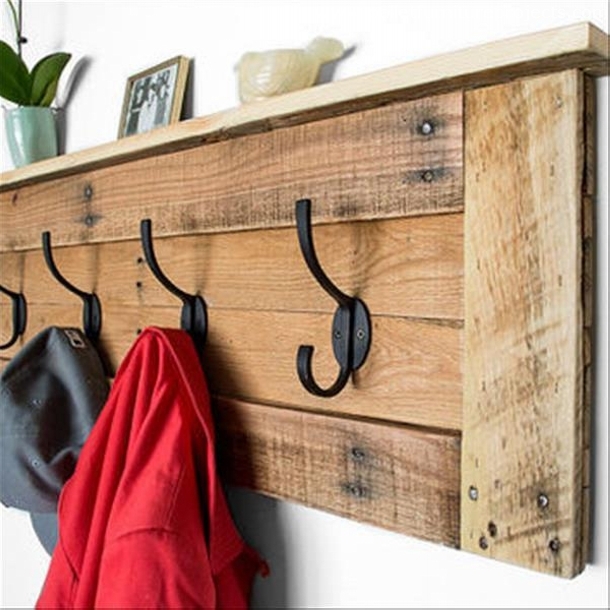 now we are turning towards some apparently tiny projects which in actual are quite meaningful in our daily lives like coming to our today’s project, we are going to present several pallet wood hanger ideas. Now you might think like what? 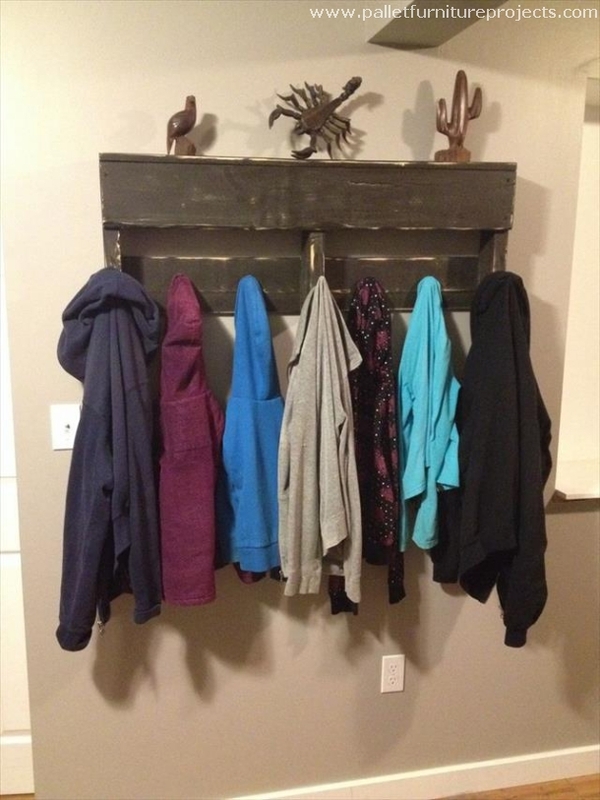 A wooden hanger? But don’t get hyper buddy, just let it get completed and then you would realize how important they are. 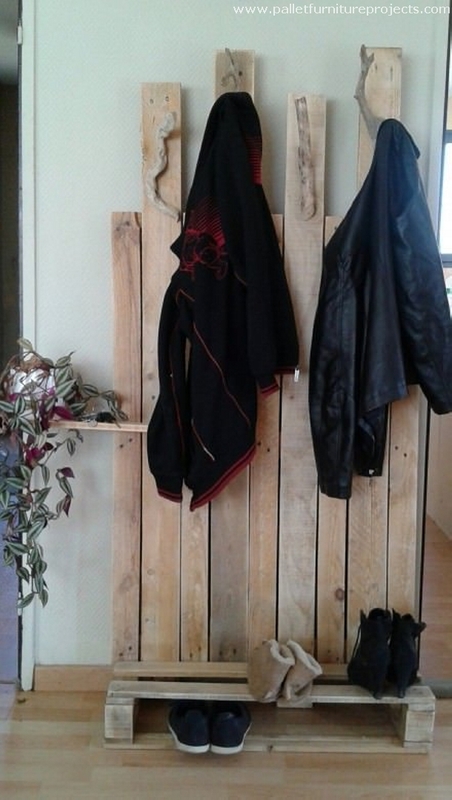 If you are living a bachelor’s life or may be living in some hostel then you can really experiment on such crazy pallet wood creations where a whole pallet is painted and hanged along the wall. And on the place of metallic hooks, we have used various keys and metallic taps that were trashed earlier by us. We see many stylish racks and hangings in the shopping malls, they look really fascinating. 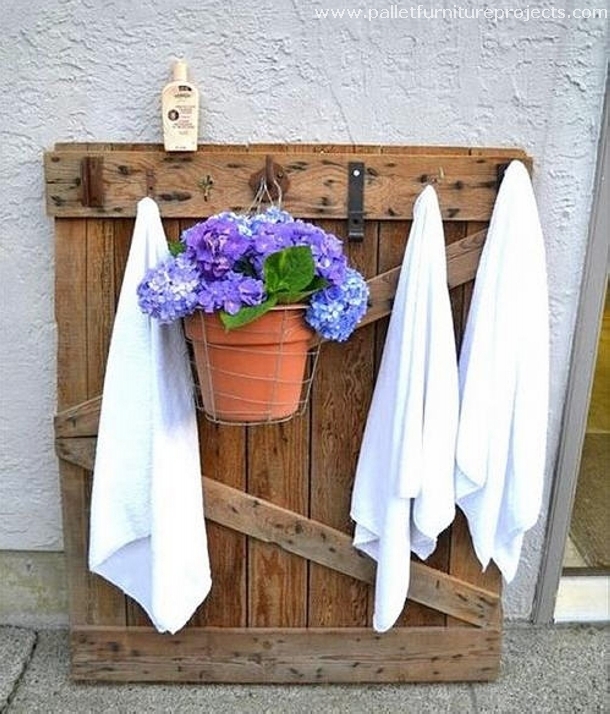 You can create the same atmosphere right at your own place using the same pallet wood, look at these domestic pallet wood hangers. In none of the ways they are any lesser than that in the market. 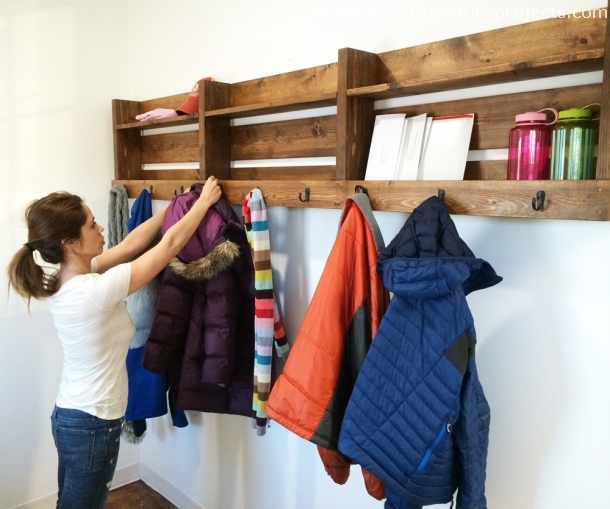 To make a multi purposed hanger where you want to hang your coat and also want to use it as a shoe rack, you just need some straight pallet wood planks that are not treated at all, just hang them along the wall and on the base, enjoin them with a wooden box making a compartment especially for your shoes. We can keep it as simple as this one. Like this is totally upto you and it is about your choice and priorities. Though some best metallic hooks were selected for the pallet wood hanger, but as far the wood is concerned we have had just some broken pallets with us. We can have some synthetic hangers inside the house but wood is always a prime material, it has got its own specific charm that is unmatched. 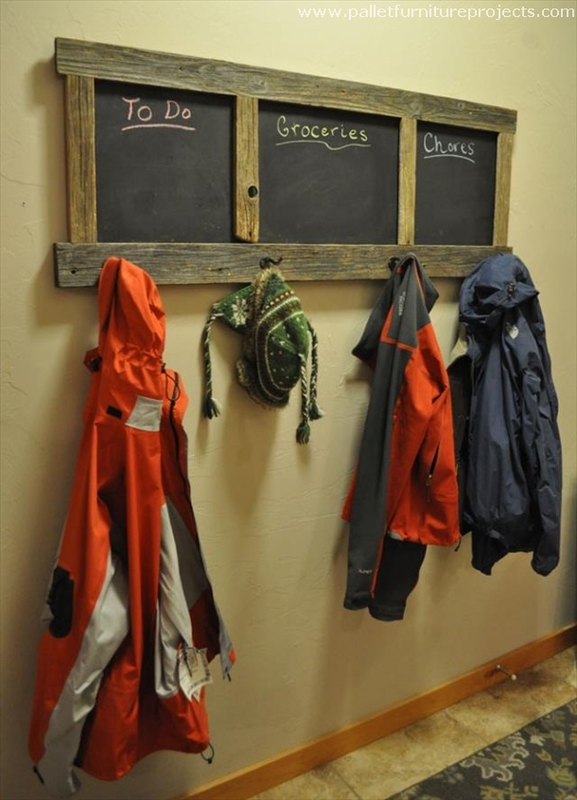 So try making some fine pallet hangers for your room. 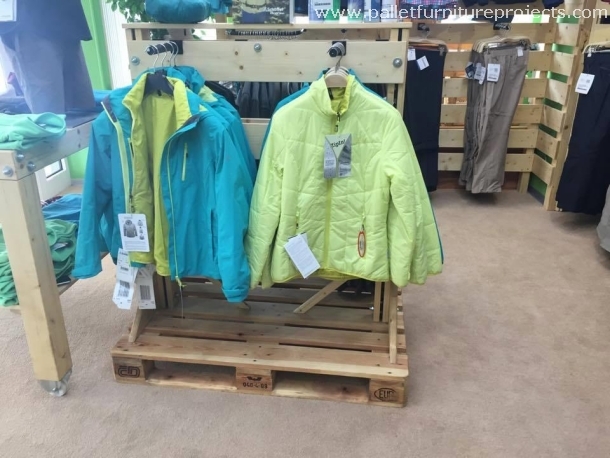 Now this is something that can be used commercially, I mean if you have a show room or a stock house, you can keep your articles quite arranged and organized with these pallet wood hangers. Just a couple of supportive stuff needed like iron pipe length etc. 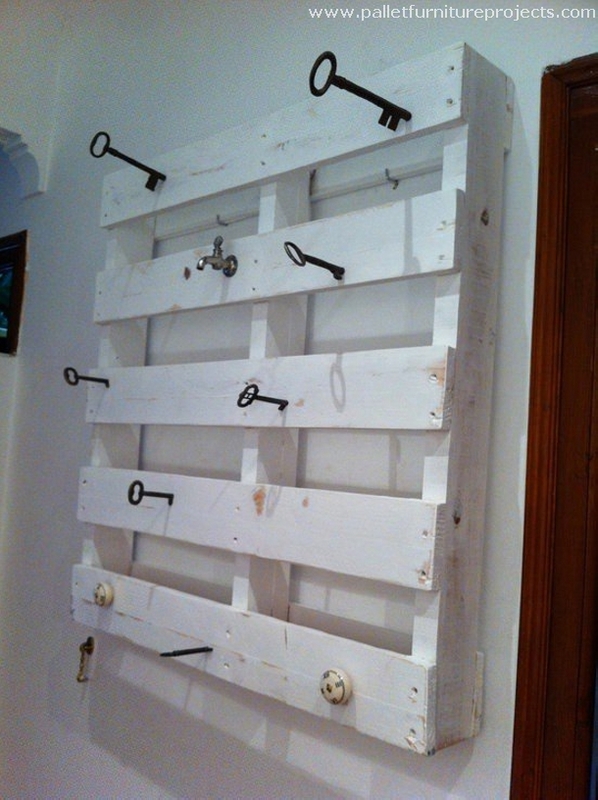 This seems like this was a fence door earlier that is now turned into a wooden pallet hanger. 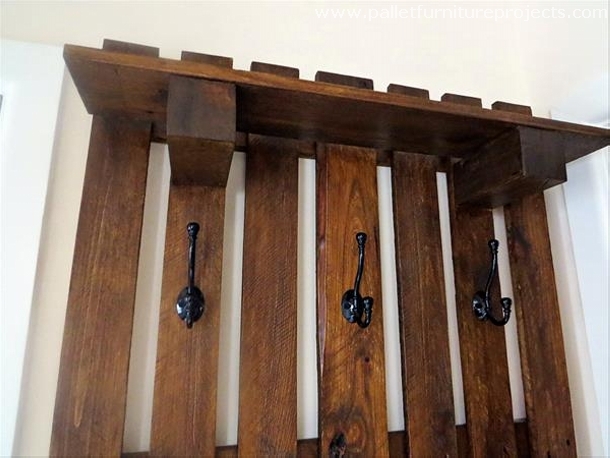 The deteriorated and broken condition of the pallet planks is yelling out loud that this is since long in use and it still makes a perfect room fixture. While living in a joint or combined family system this thing is needed the most because you don’t want a messy look at your place at all. 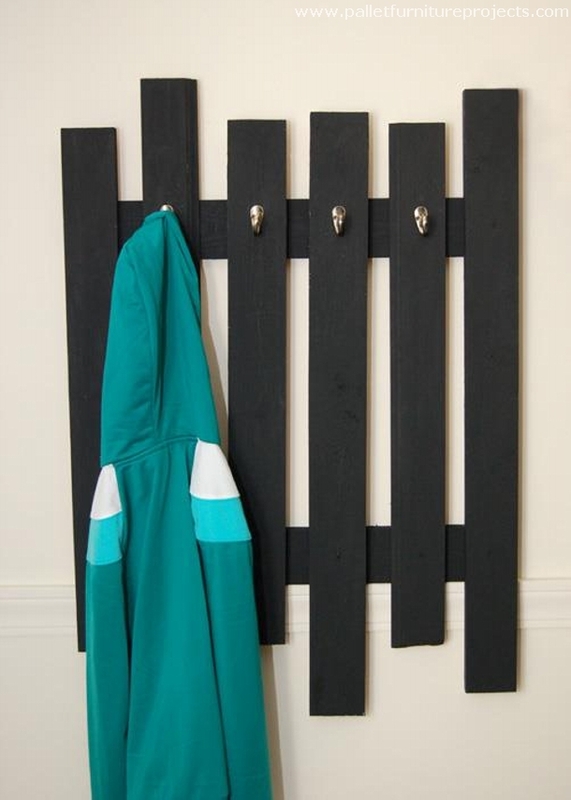 So recycled a grand wood pallet hanger according to your needs and install it in some common room where all could be benefitted from this pallet wood hanger.